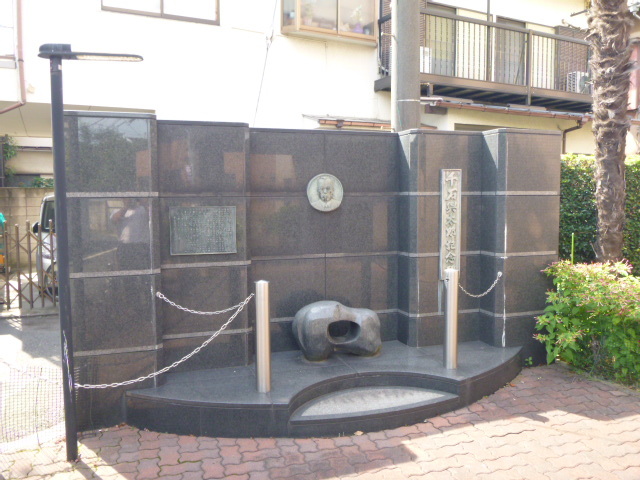 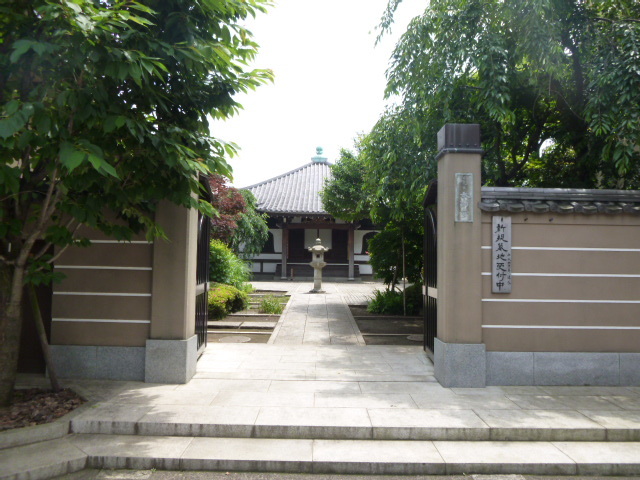 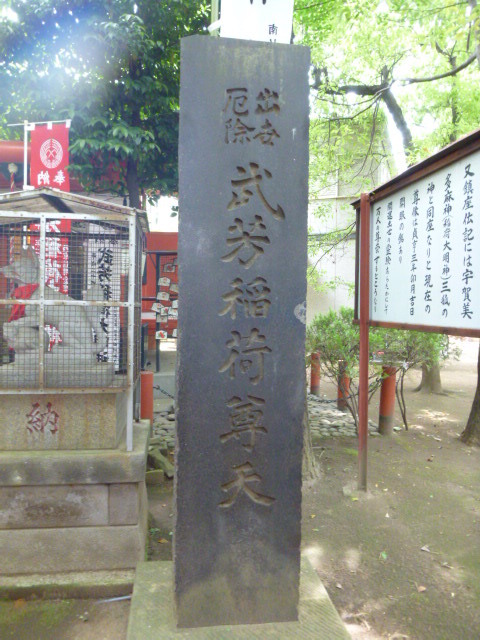 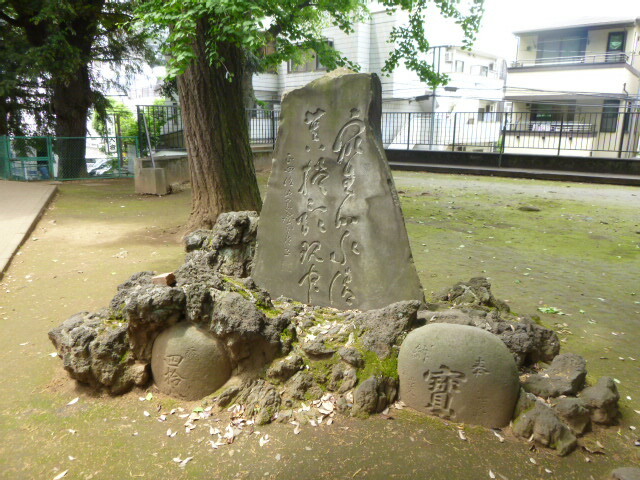 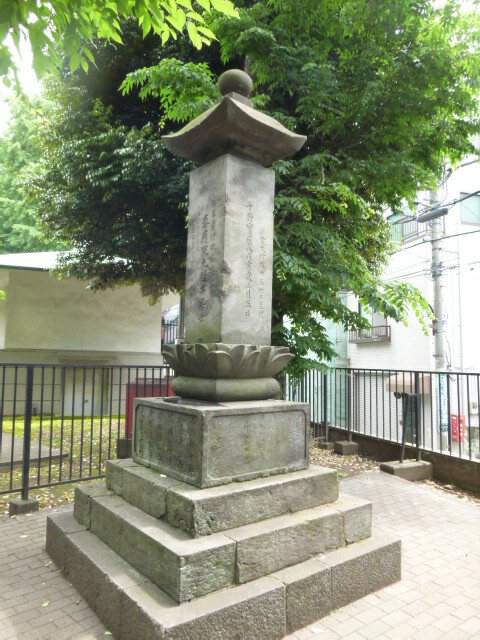 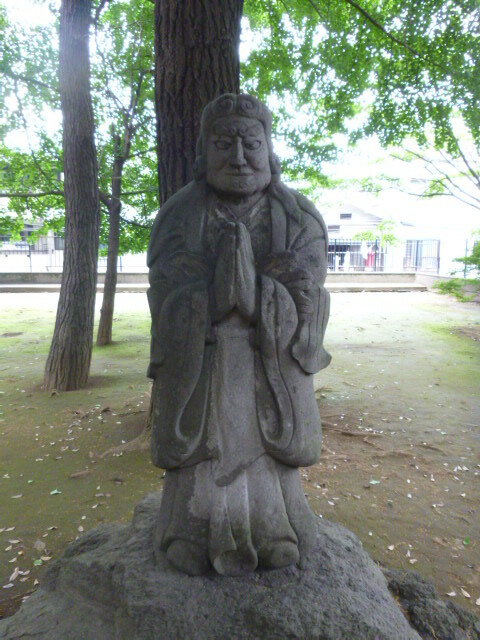 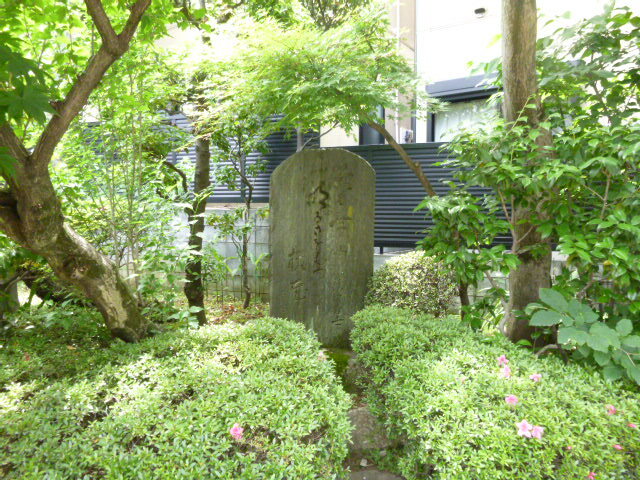 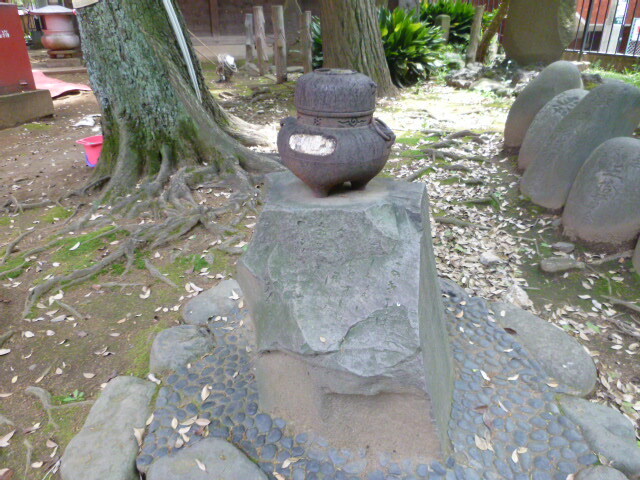 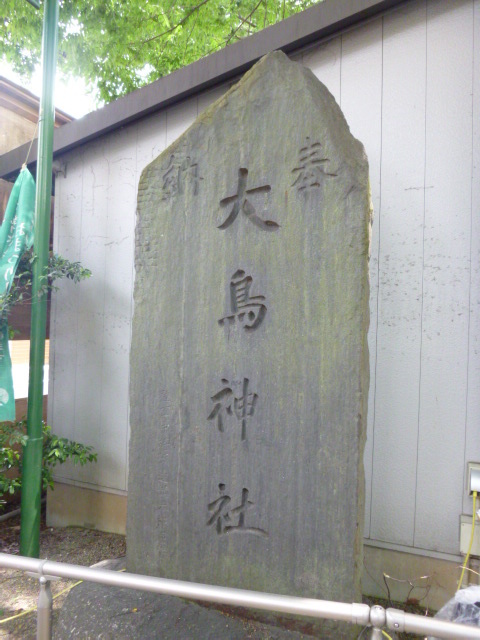 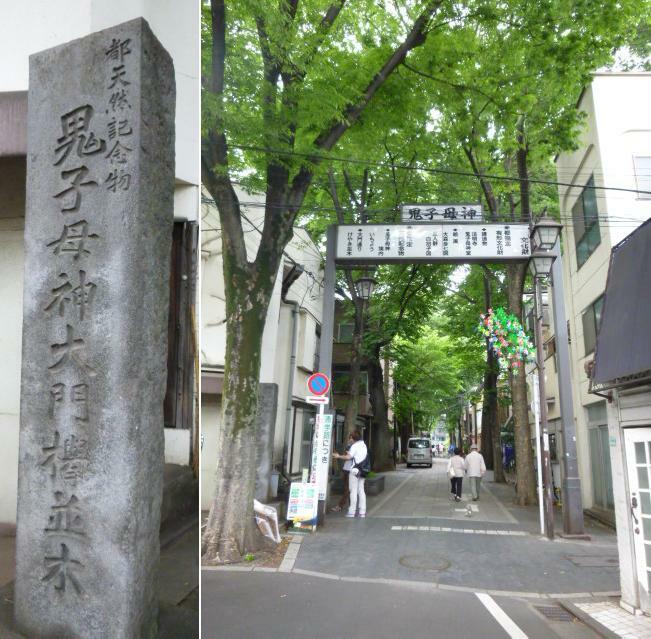 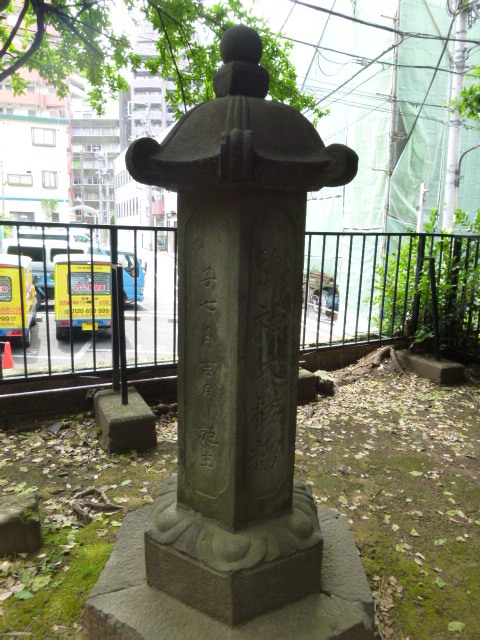 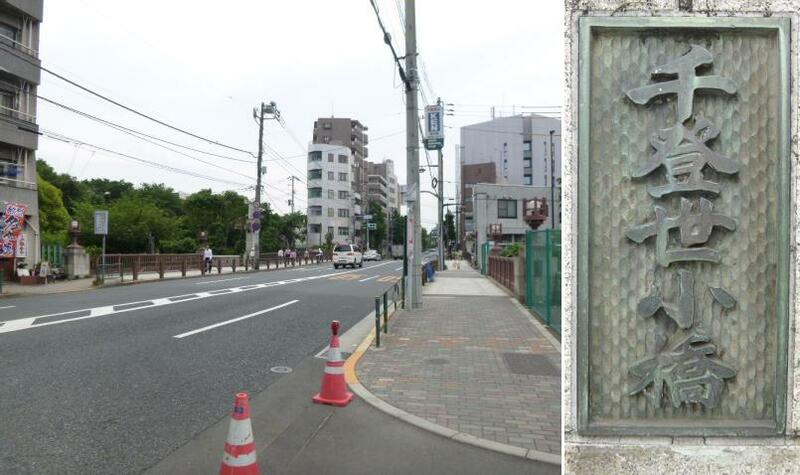 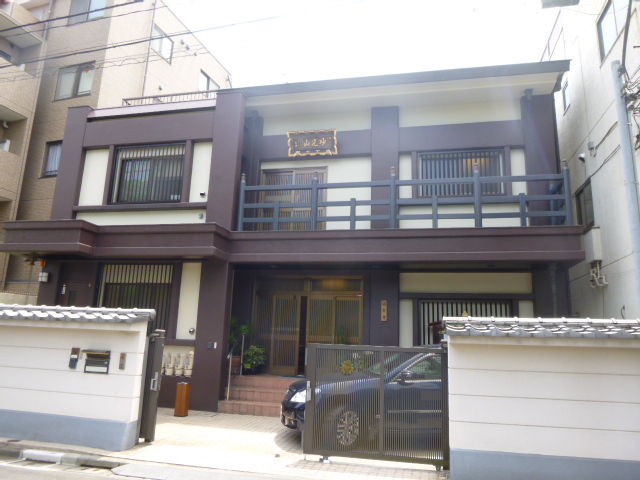 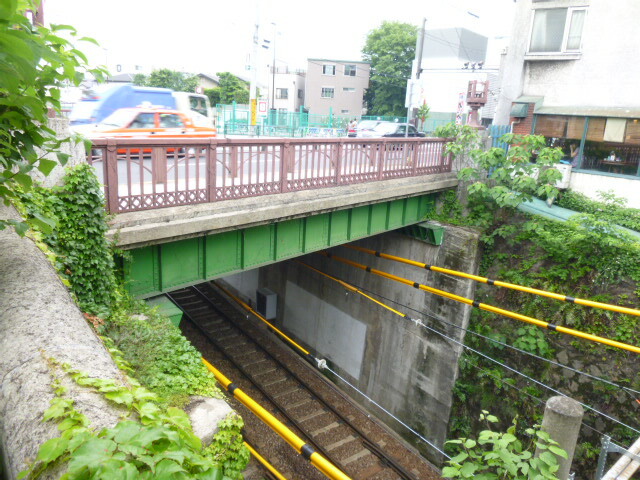 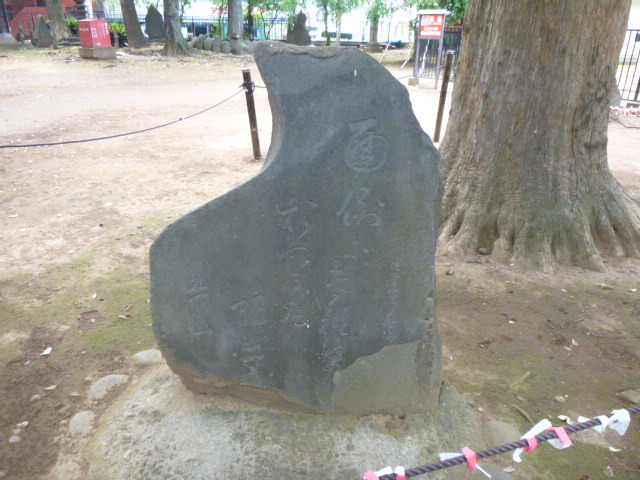 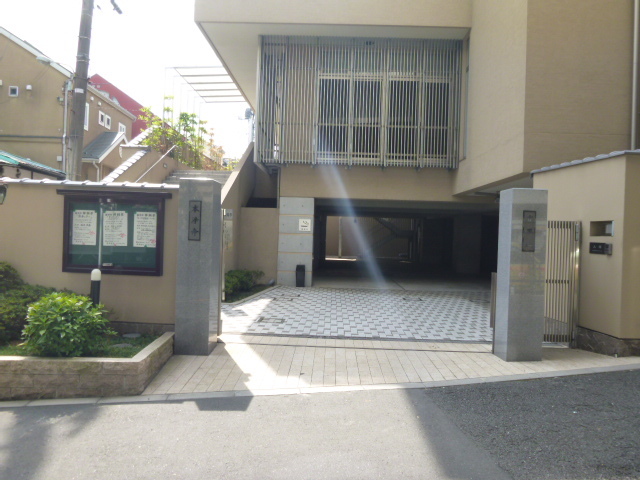 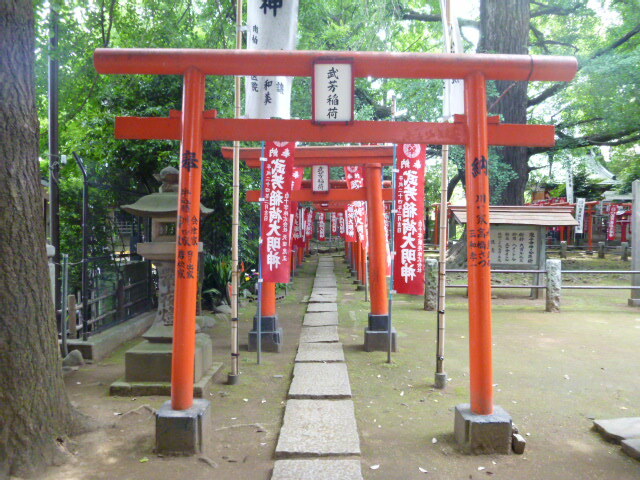 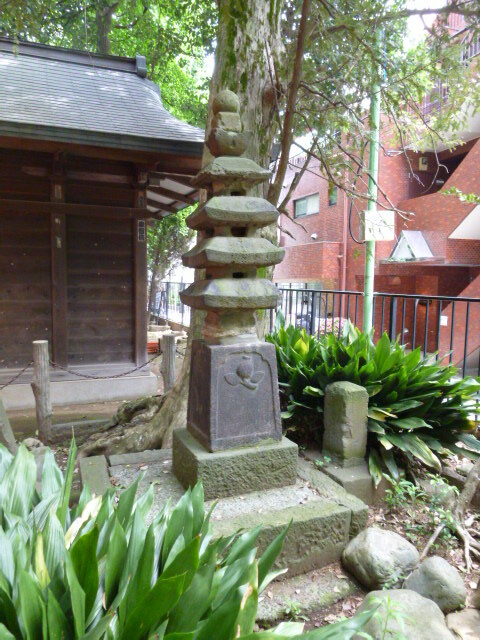 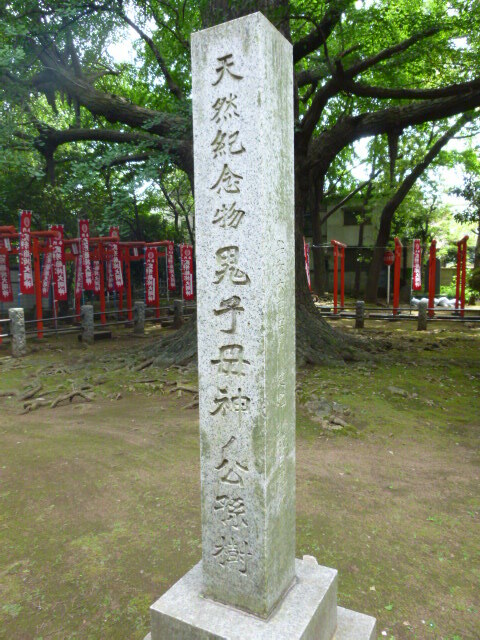 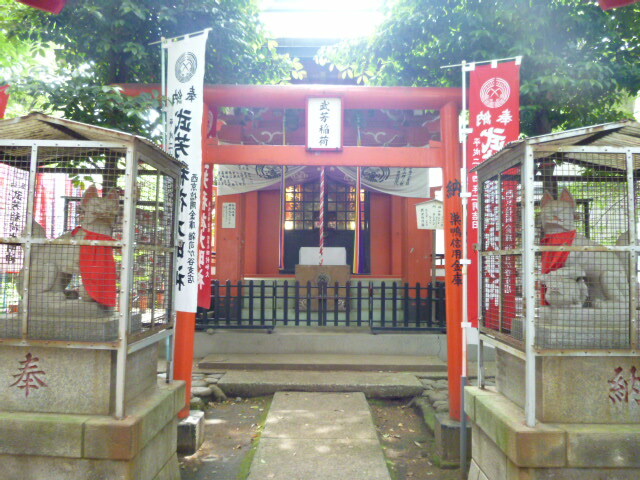 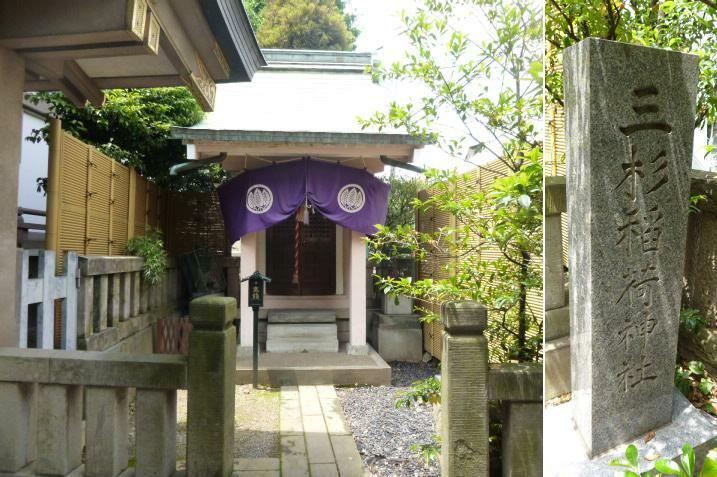 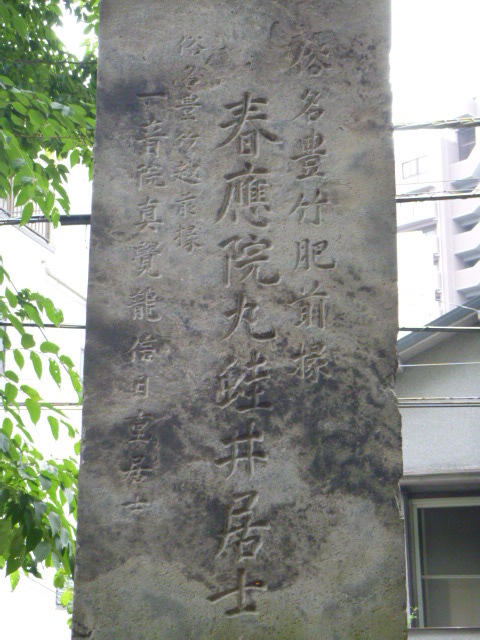 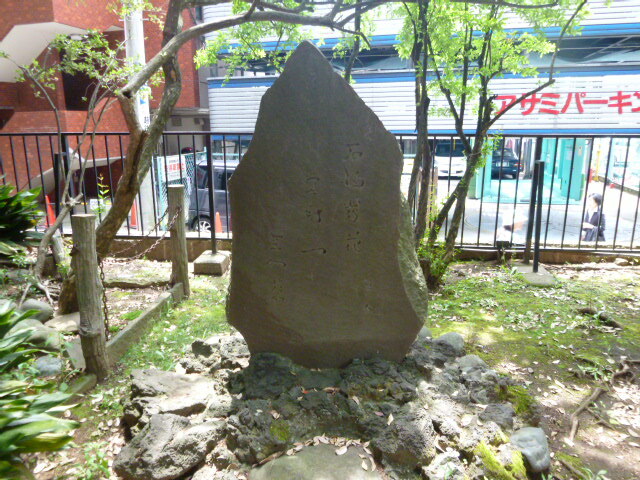 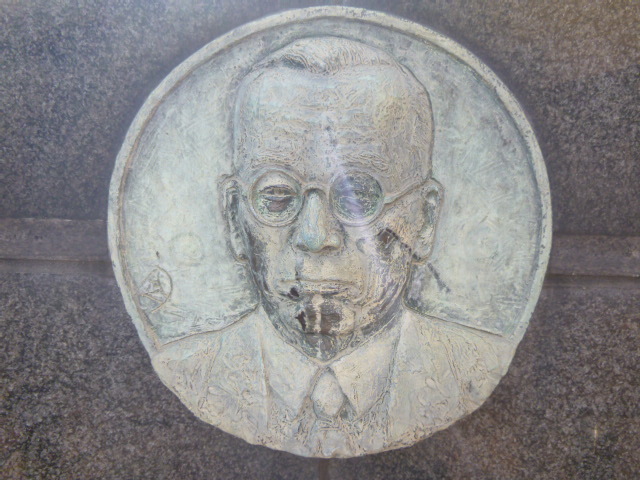 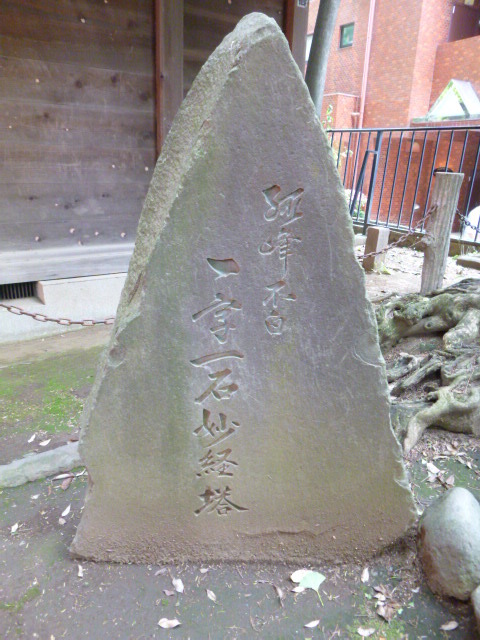 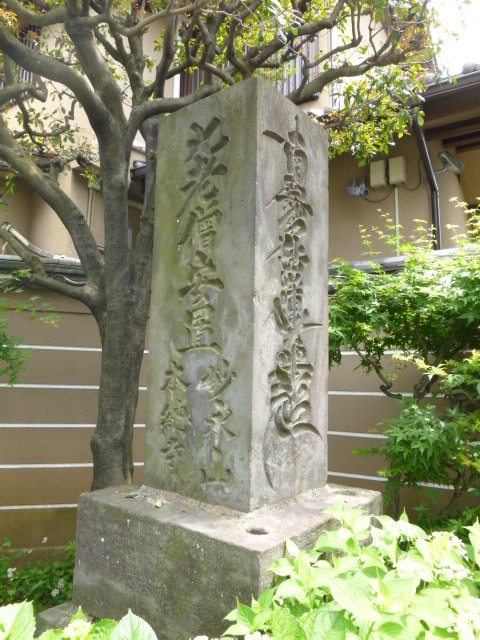 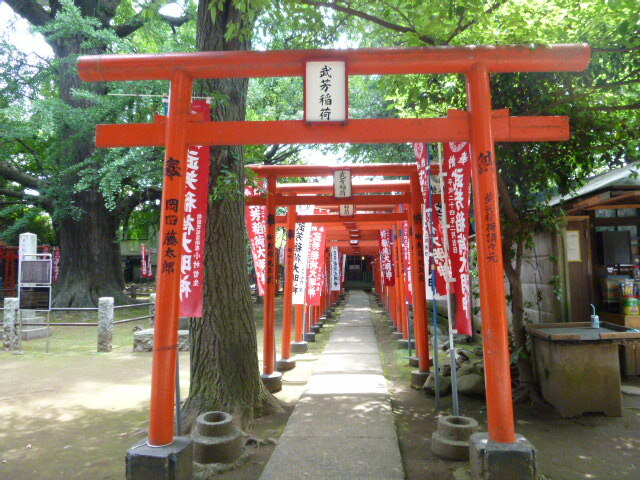 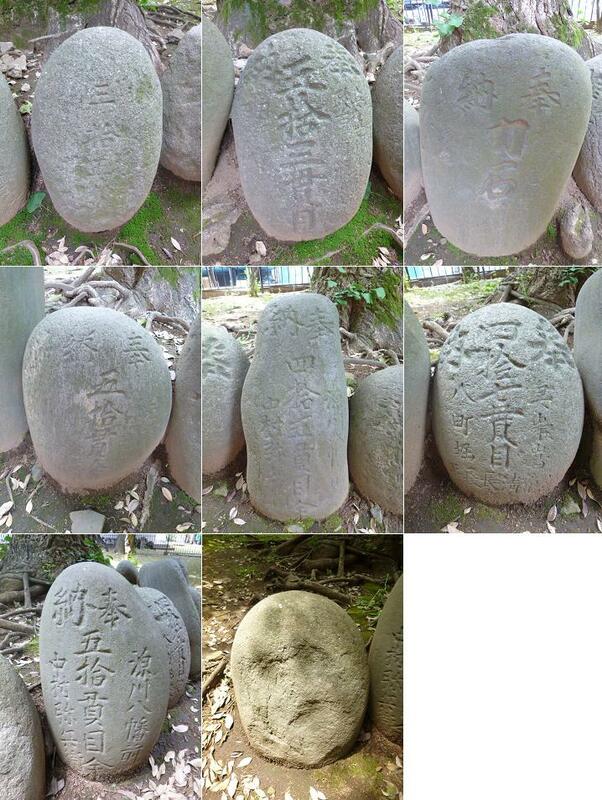 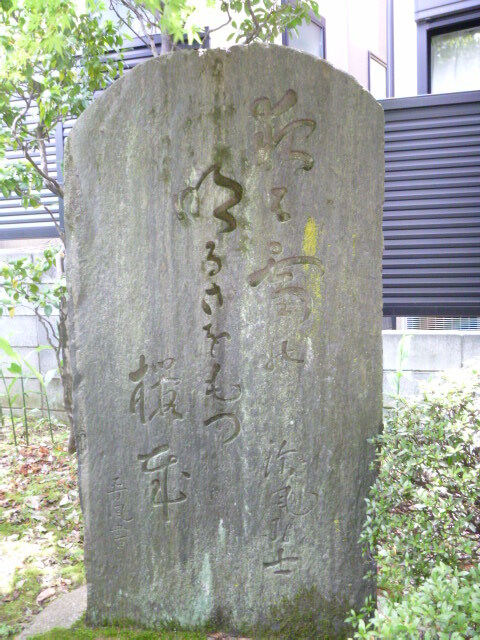 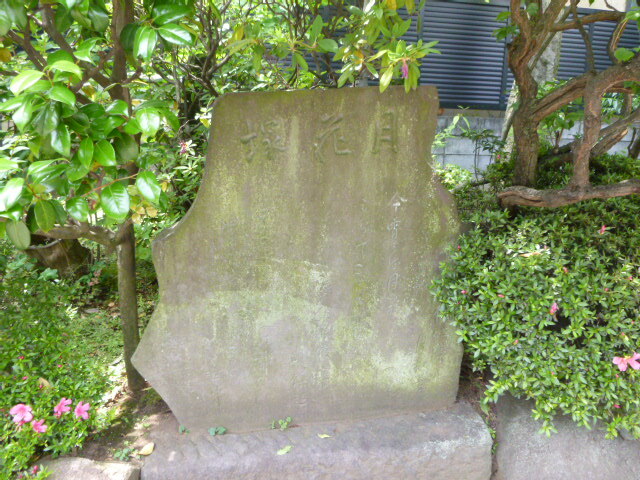 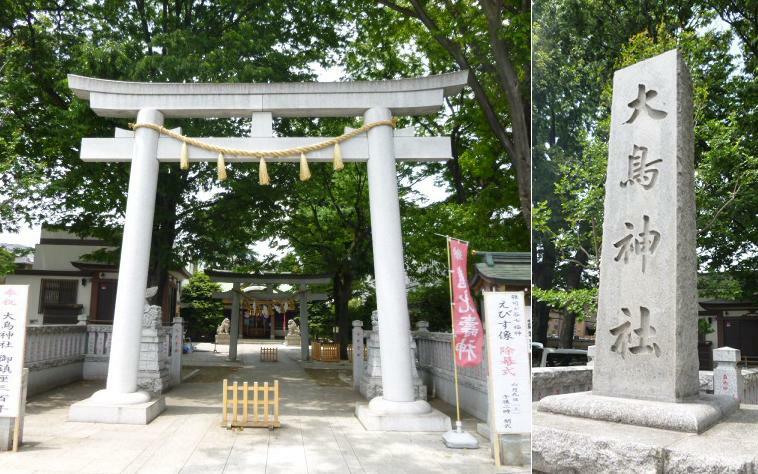 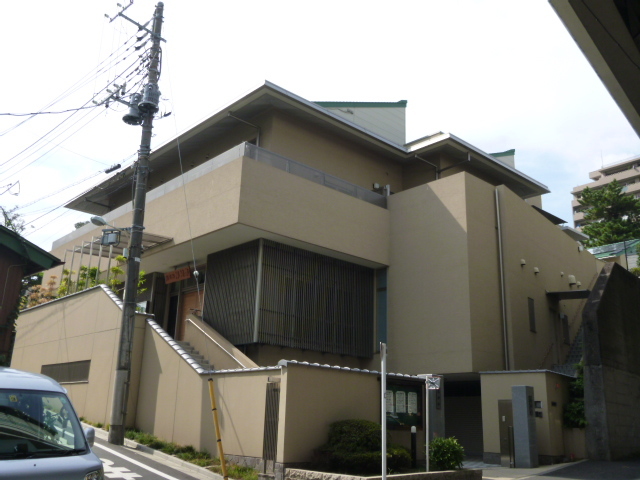 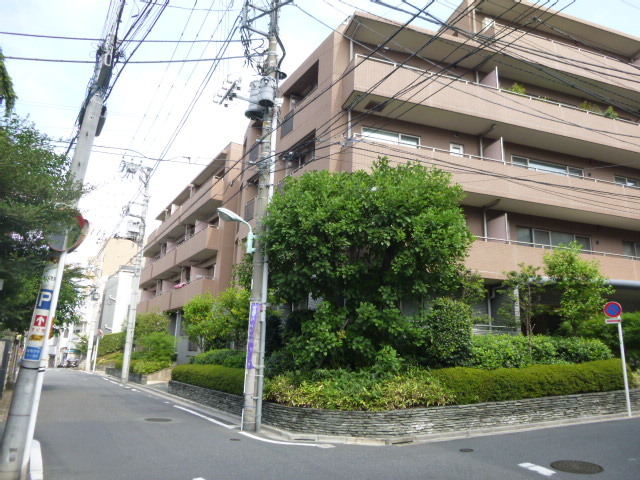 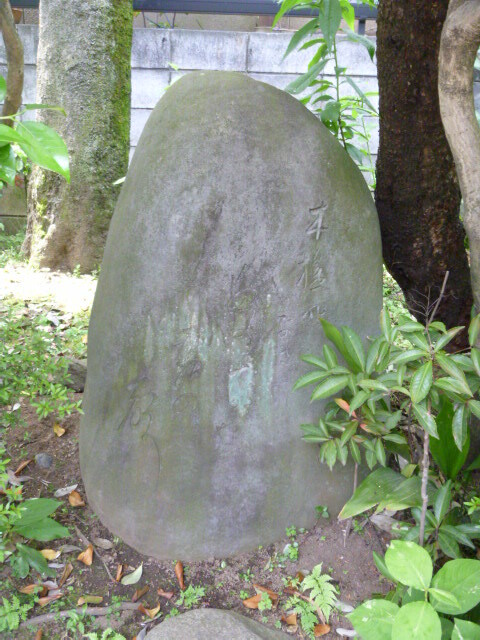 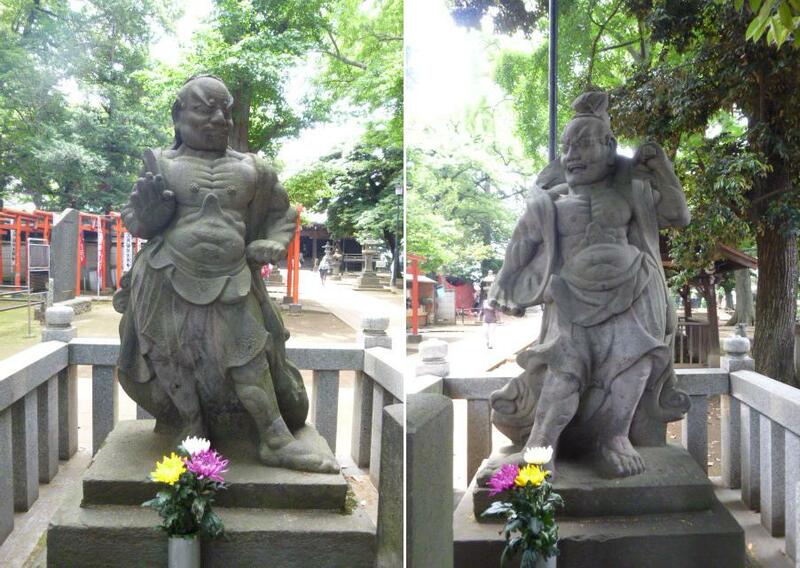 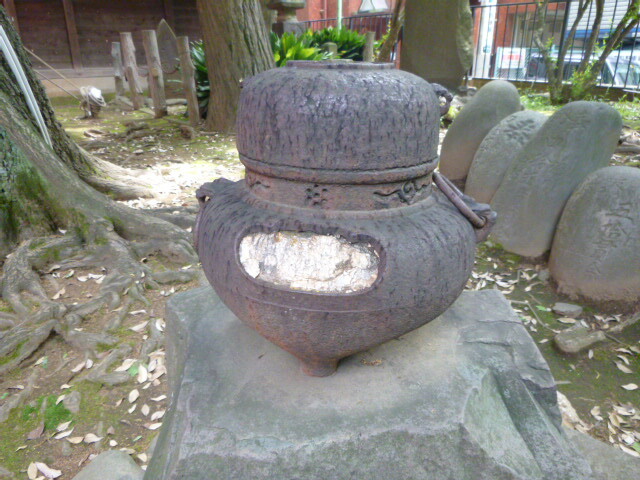 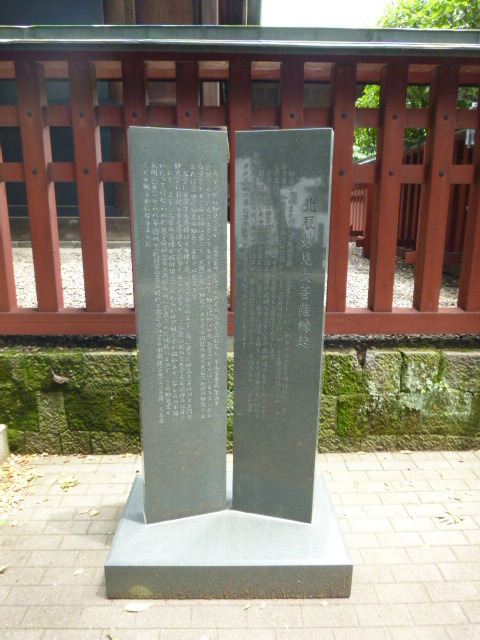 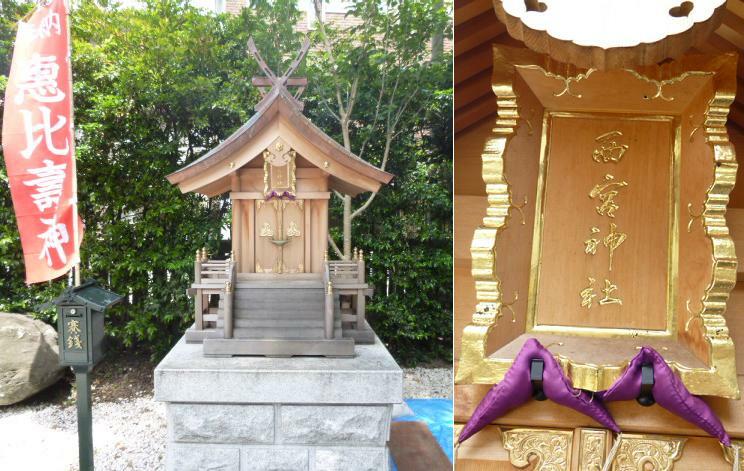 During Edo Era,the area to the north of Kiyotozaka was the farming area of Zoshigara village (the present Zoshigaya cemetry).Along the hilly road lied Hyakusho-machi (i.e. 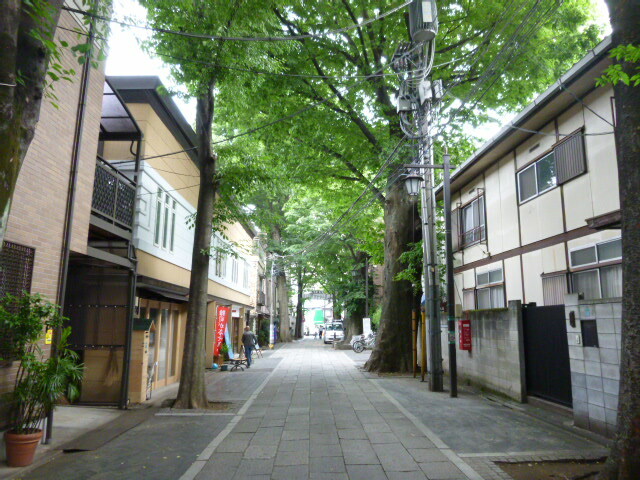 farmer's town) of Kiyoto village where they produced a lot of vegitables to ship to Edo. 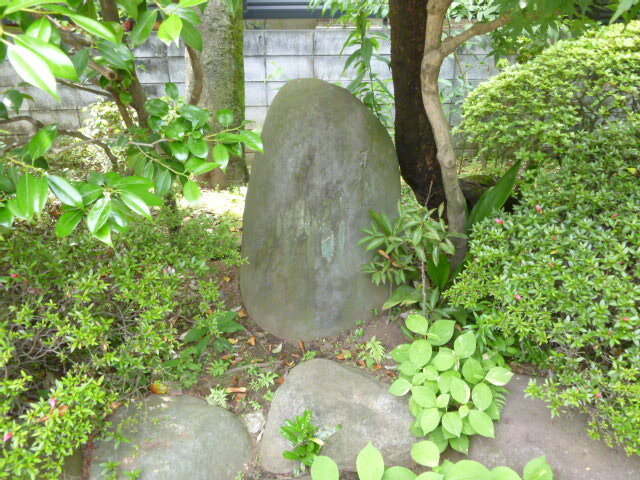 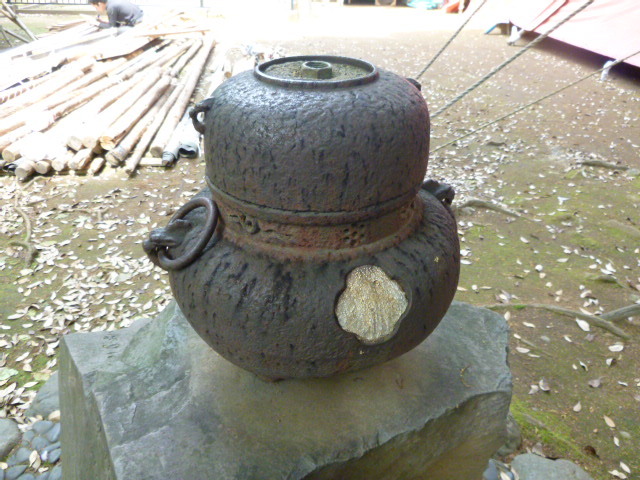 THe tasty Zoshigaya egg plant enjoyed its reputation from the latter half of 1800s to 1920.Manure and horse dung were commonly applied to the culture of egg plant. 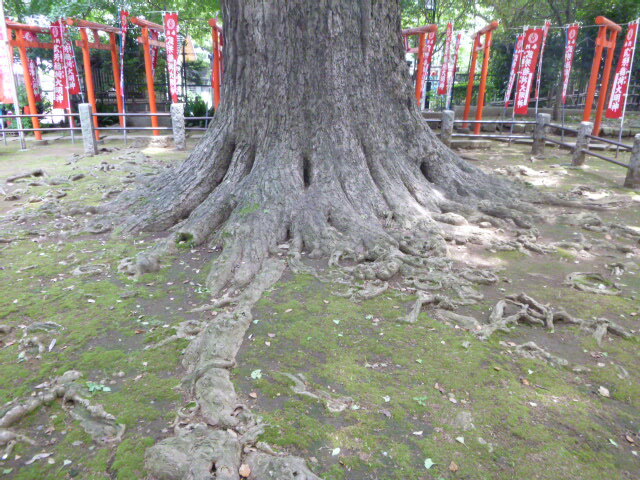 This is an outstanding giant ginkgo tree at Kishomojin-do in Zoushigaya.The trunk circumference is 6.63 m,the height is 32.5 m and the branches reach out 10 m in all directons. 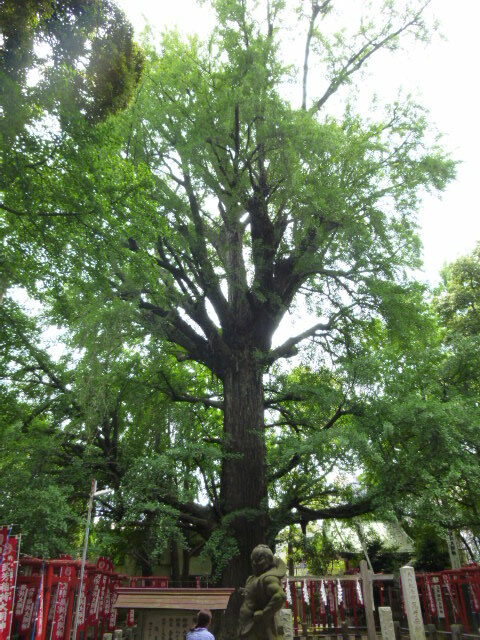 It is the second biggest ginkgo tree afte the one in Zenfuku-ji (designated a national monument by government /Minato-ku).The ginkgo in Zoushigaya was designated a natural monument by the government in 1930,however it was unlisted in January 1946 and designated again by Tokyo metropolitan.It was called Kosazuka Konsouju(the ginkgo that gives children) and people believed it had miracle power.But now it is called Kosodate Icyou(the ginkgo that raises children). 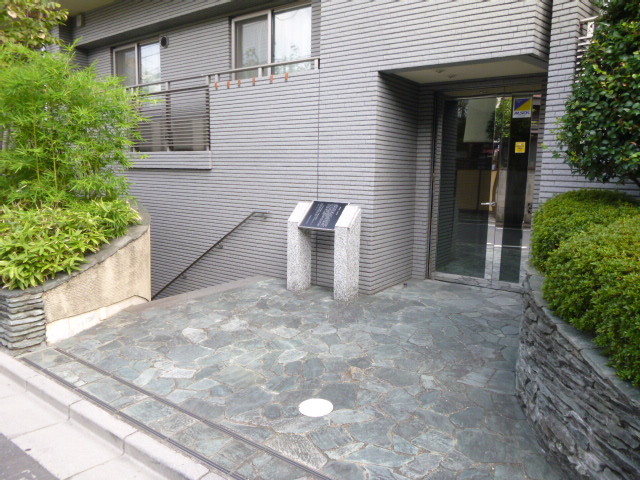 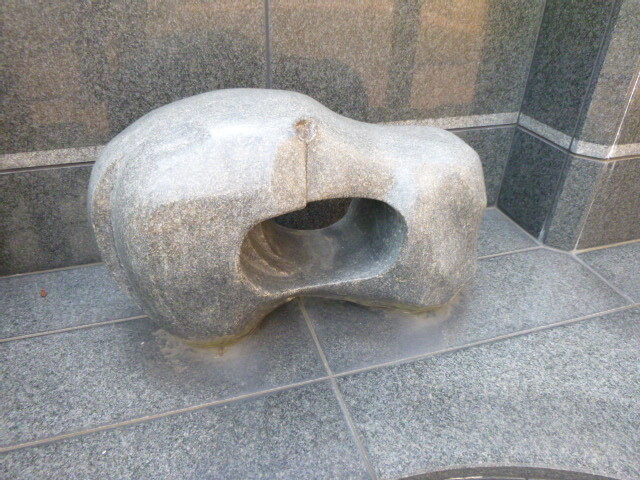 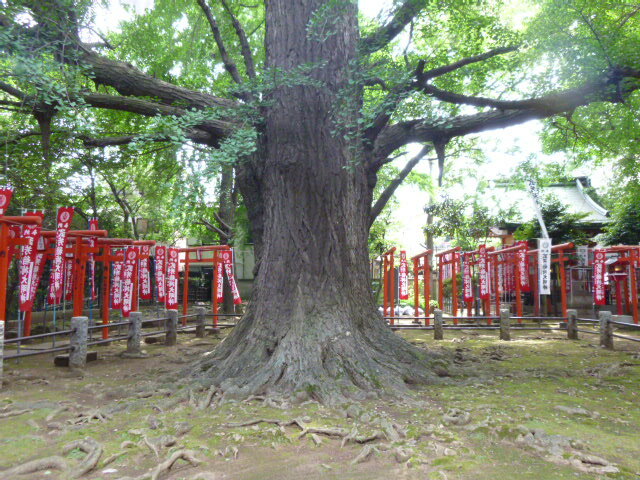 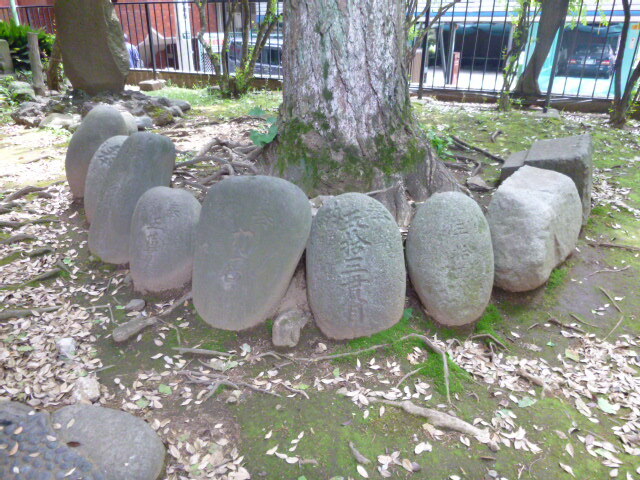 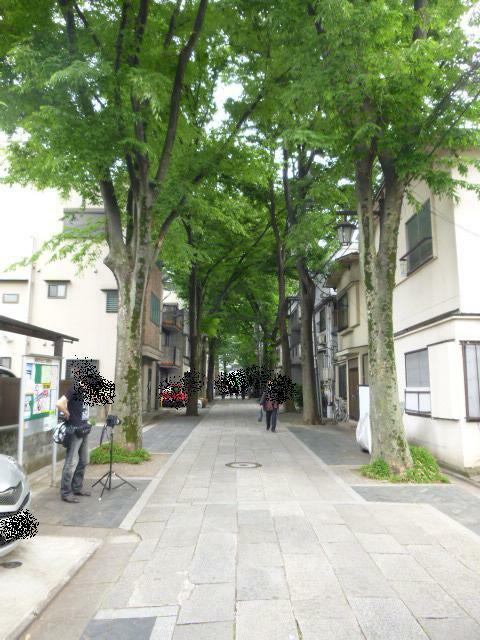 This is probably becouse the power of the ginkgo tree was similar with Kishimojin's.It offers a quiet view,in contrast to the nearby busy downtown of Ikebukuro. 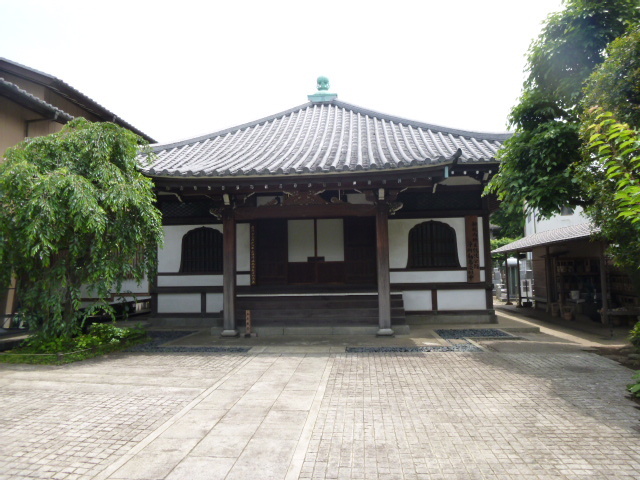 Honden(main hall):6.06m wide,5.90m deep,One-story,Flowing style gable roof,Cooper tile roofing,Ai-no-ma(space betwiin two buildings),3-bays wide,1-bay deep,One-story,Gable roof without gabe pediments.Haiden (worship hall):5-bays wide.4-bays deep,One-story,Hip-and-gable roof,Plover bargeboard at front,1-bay wide stepcanopy,Eabes with undulaing bargeboards,Light wight tile roofing (a pantile that combines broad concave tiles and semi-cylindrical convex tiles),Copper tile roofing only for eaves with undulating bargeboards. 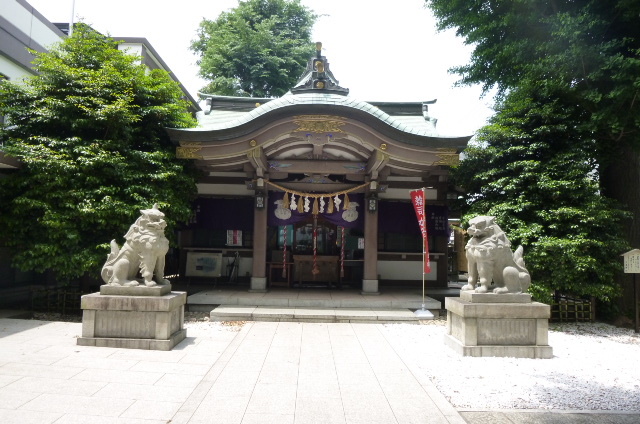 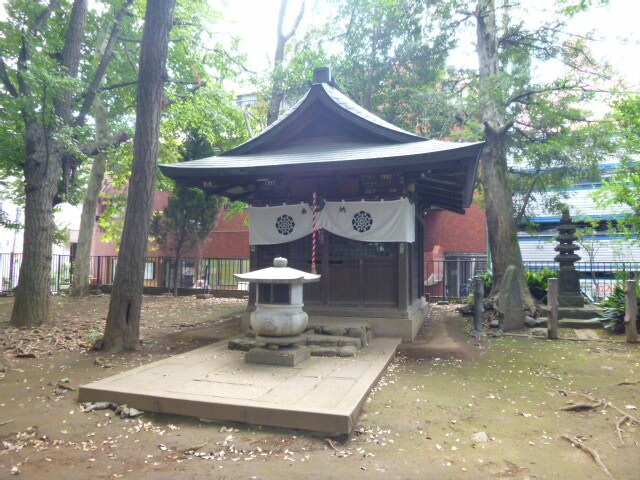 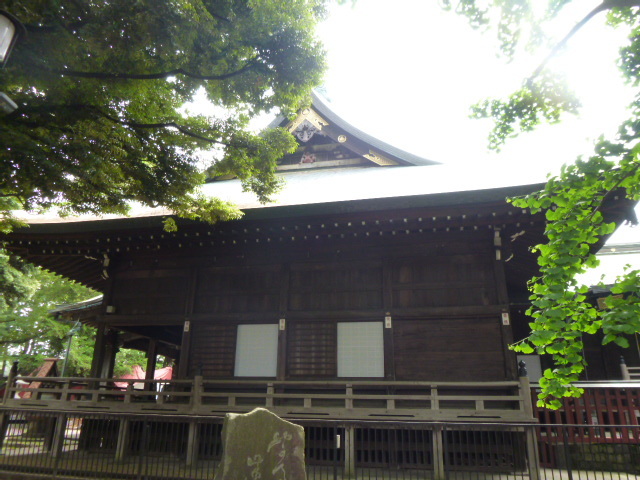 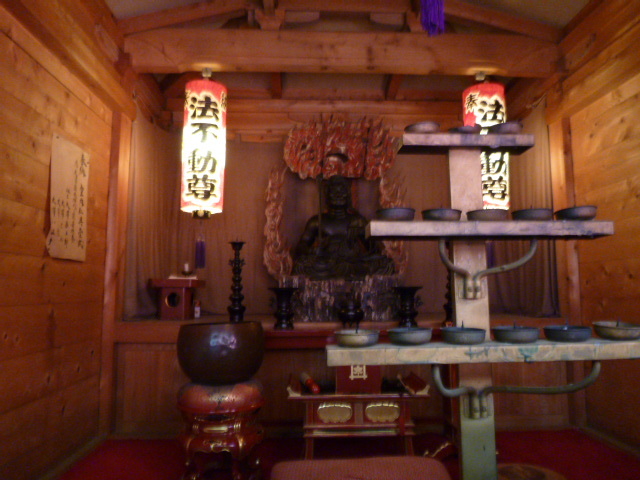 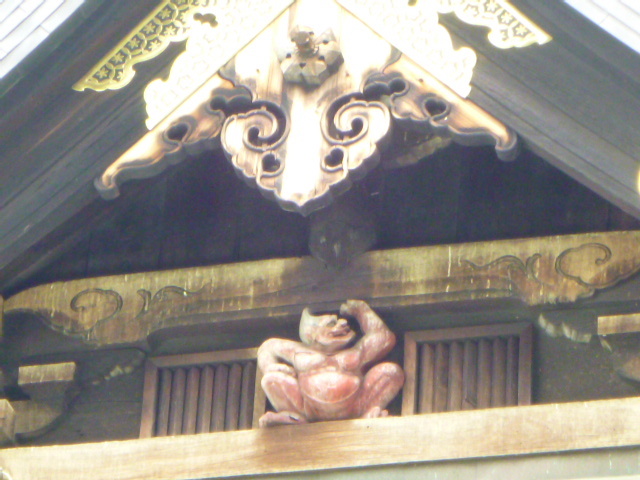 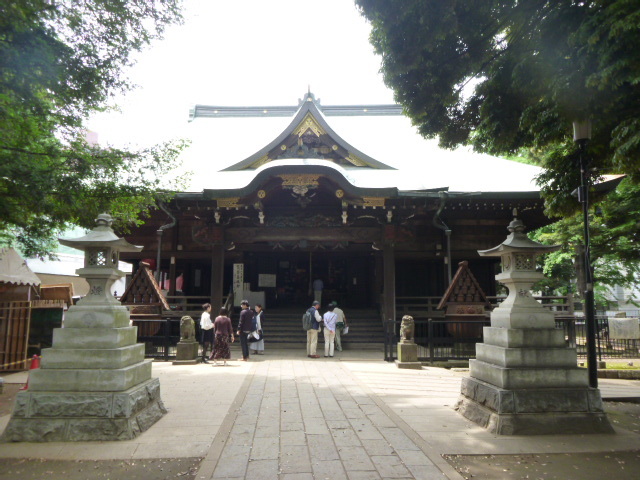 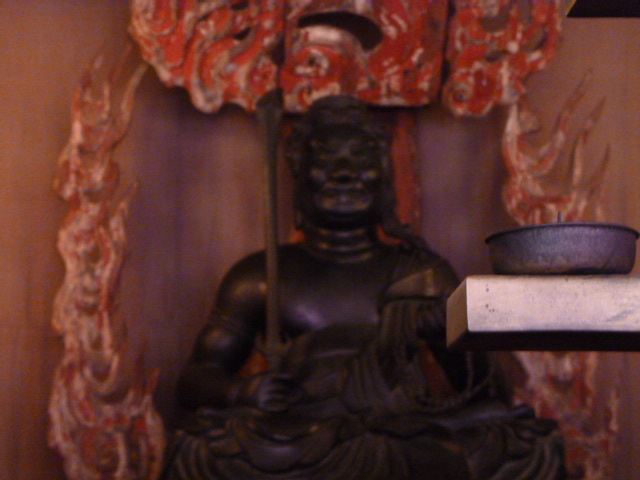 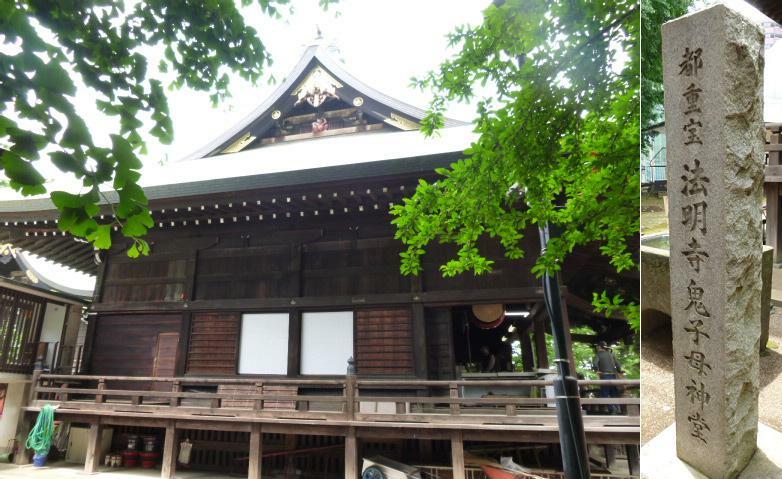 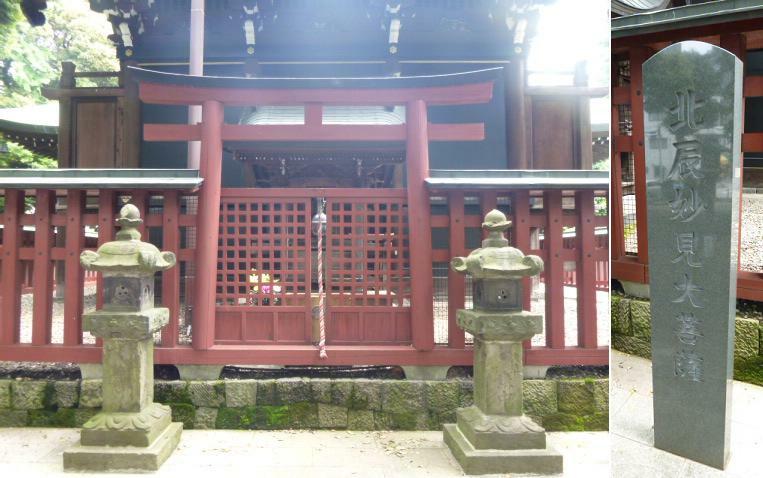 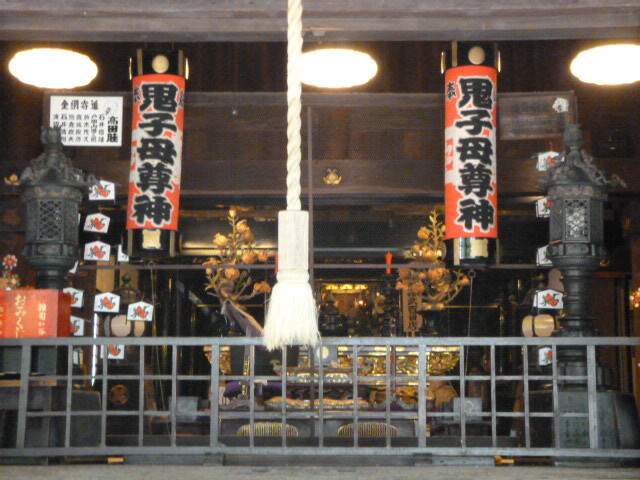 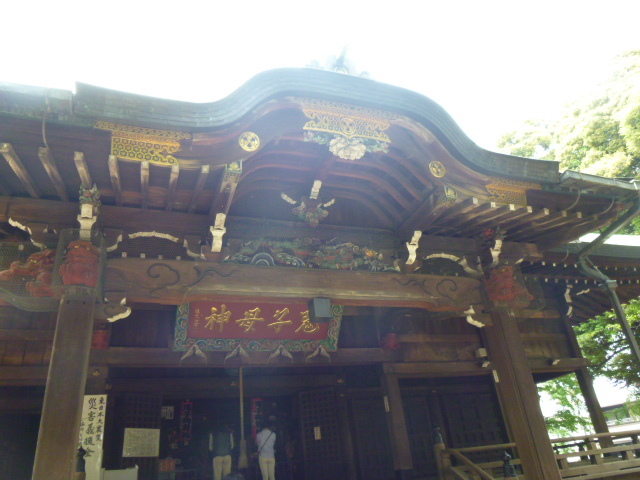 According to the ridge tag,Kishimojin Honden was constructed in 1644.Haidenn and Heiden (offering hall),which have complex roof styles,were built in 1700.According to Shinpen-Musashifudokiko (chorography of Musashikou),princess Man (3rd daughter of Toshitsune,a fudal lord of Kanazawa clan),the official wife of Mitsuakira Asano,a feudal lord of Hiroshima clan,contributed to the construction of this temple.Honden is Sangensha-nagare-zukuri (3-bays wide and has a symmetric flowing style gable roof) and 2-bays deep.It contains a 3-bays wide room including a step canopy.Heiden,whichconnects Honden and haiden,is 3-bay wide and 1-bays deep.A three steps stair is connected to its centre.Haiden is 5-bay wide,4-vays deep,and has a hip-and -gable roof an plover bargeboards.A step canopy with undulating bargeboard is at front and veranda surrounds the front and the sides.Kishimojin was founded becous a Kishimojin statue was found in 1561.According to Shinpen-Musashifudokiko and other records,a sub-templeTouyobo(now Daigyou-in),was the main worship place before.At the end of Edo period,Houmyou-ji was so popular that eve the Shogun visited.